You asked for it, so you’ve got it! 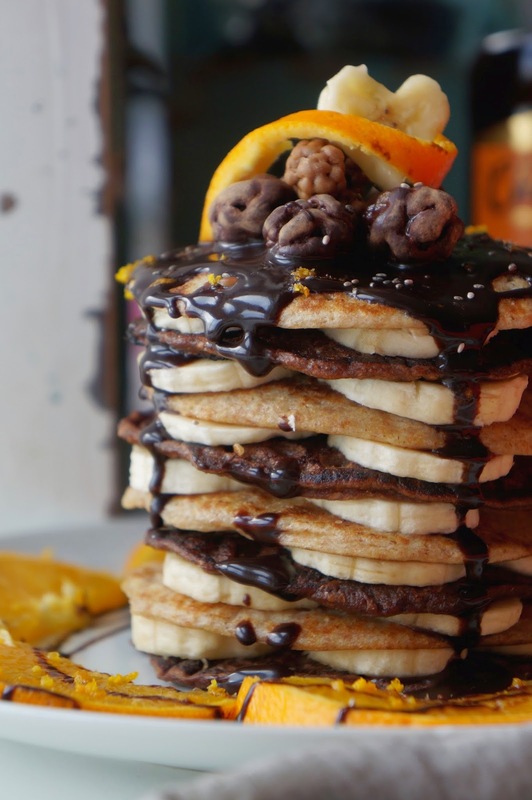 Here is one of our favourite pancake recipes, oh, and they just so happen to be vegan too! Enjoy! 6. 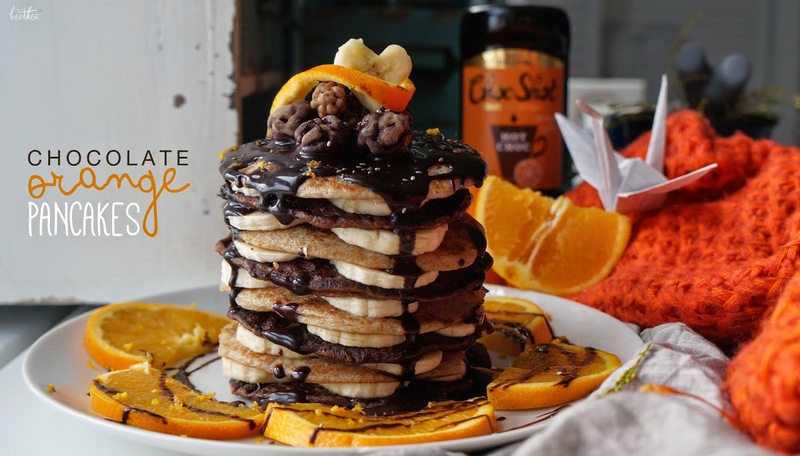 For ours, we made 4 pancakes like this then stirred around 2tsp choc shot (the orange flavour) into the remaining mixture so the remaining pancakes were chocolate flavour! 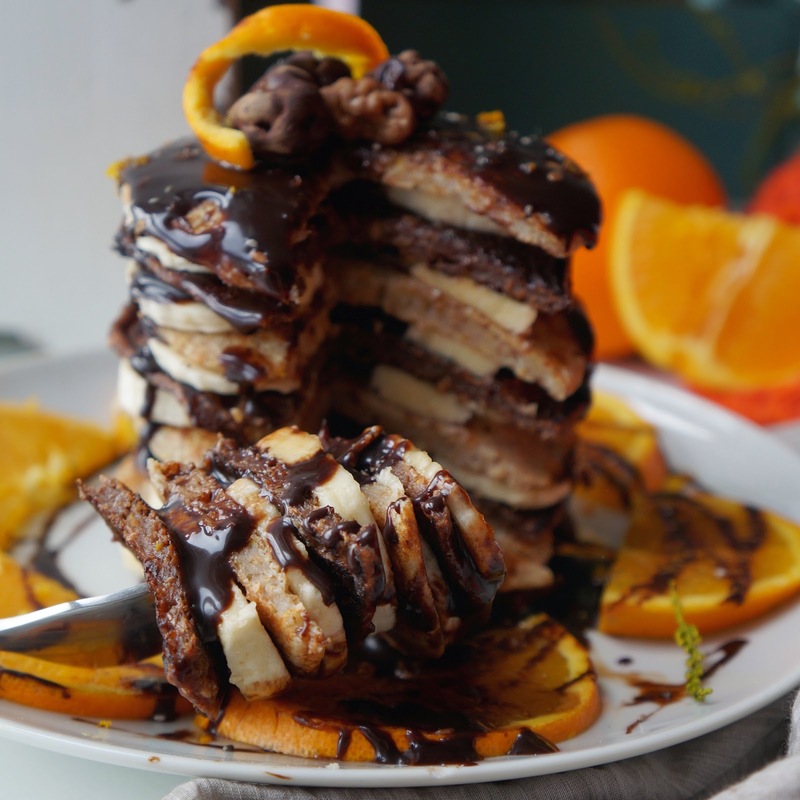 Layer up the pancakes alternating between regular and chocolate and serve with banana slices and toppings of your choice. Tag us in your photos if you give these batboys a try!